The post about Holiday Cards Display Ideas is sponsored by Global Influence but all the opinions expressed are 100% our own. First comes Halloween then Thanksgiving and usually the day after that I start getting Holiday cards in the mail. Especially with Thanksgiving hitting so late this year it is bound to happen. I have been using the same holiday card display since we moved to this house. A large ribbon hanging on a wall and I staple them on so they hang. I wish I had taken a photo of this in years past. I thought I would share some creative holiday card displays. My holiday card display sort of looks like this but it is a much bigger bow with several pieces of ribbon hanging on and over 75 cards dangling below. 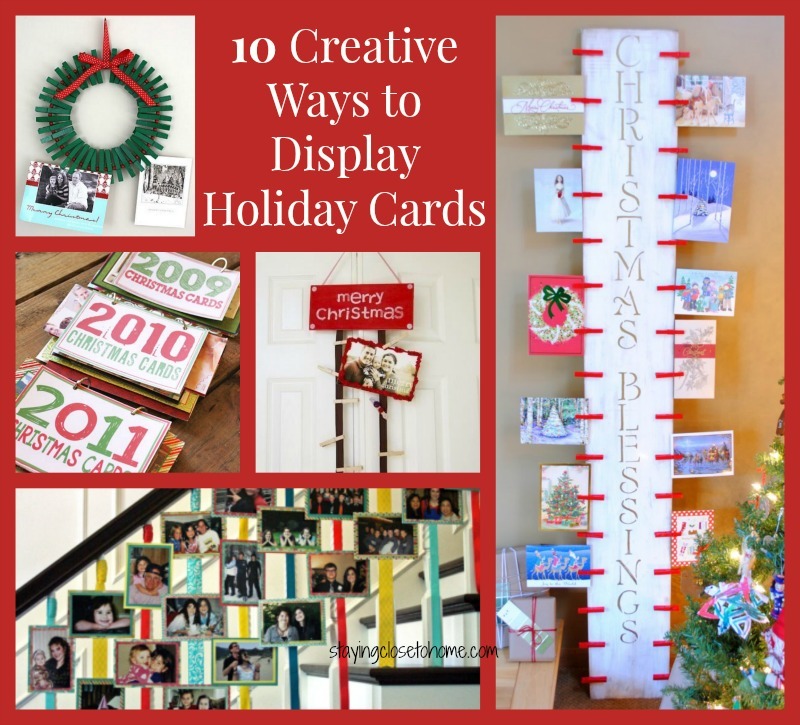 I now want to figure out some other fun and creative ways to display Holiday Cards. I decided to see what clever ideas were awaiting on Pinterest and sharing them with you. I also love this holiday card display and tutourial. Not feeling crafty and have a lot of cupboards in your kitchen this always is a good choice. 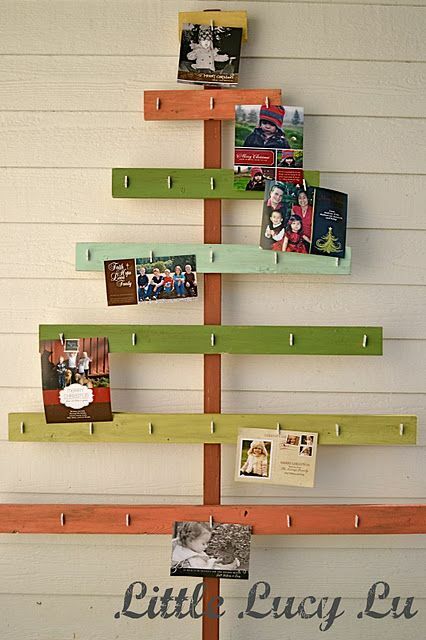 I love this simple yet creative Christmas card holder that you can customize to fit your decor colors. 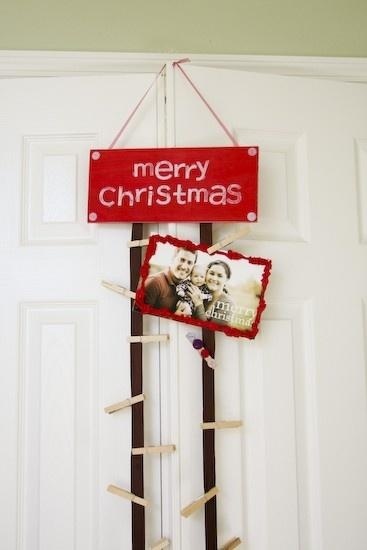 How simple is this, finding a pre-made Holiday sign and adding ribbon. 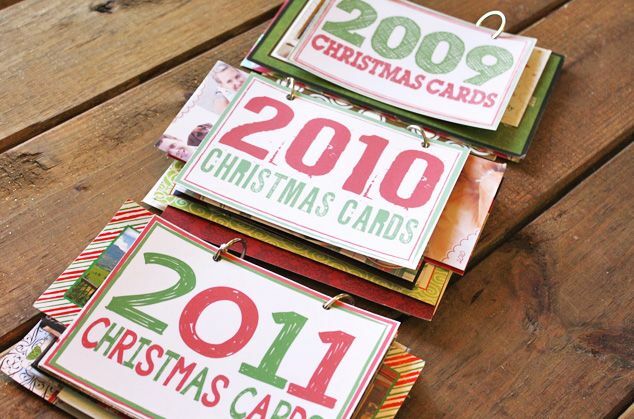 Don’t have any where to hang your cards, how about making these adorable books, that will last each year. I have a friend that does this. You can even do it after the holidays. 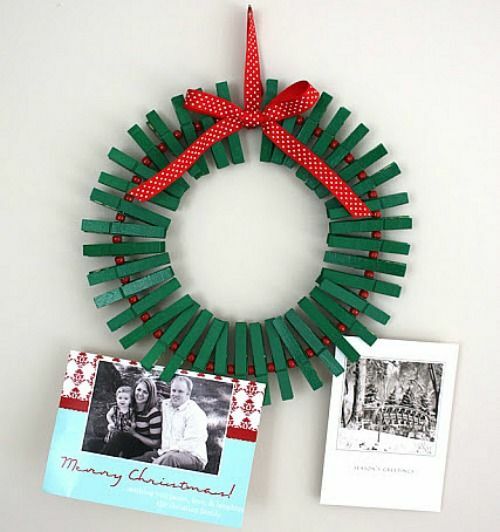 I have seen these clothes pin wreaths before they are super cute. 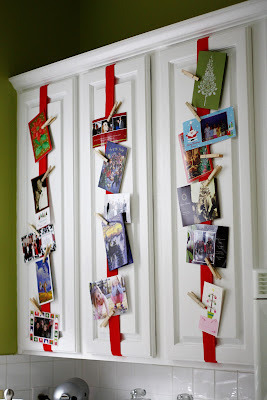 Finally what a great idea if you have a grand staircase that you pass each day and can look at all the great holiday cards. 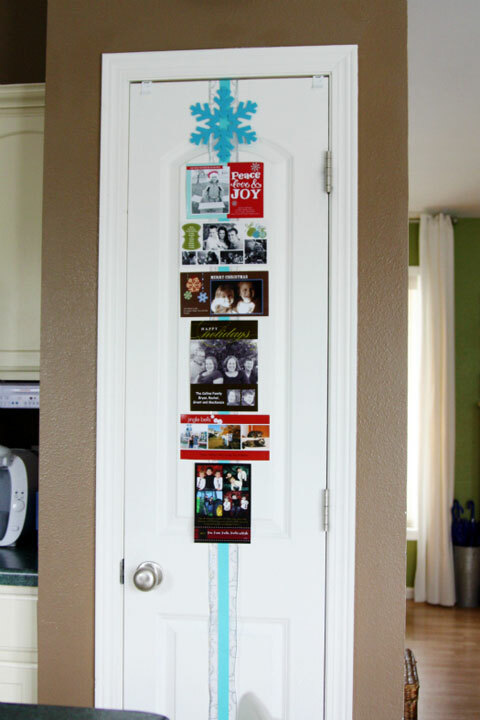 How do you display your holiday cards each year? This post was inspired by Paper Culture known for their eco-friendly holiday cards and personalized gifts. Wonderful ideas. I like the standing card holders best because they look more organized and not so busy. Cool ideas! I love the Christmas tree idea…looks easy enough to make as well! I usually just tack them in my hallway, but I love these ideas! Maybe the kids and I can make up a few of them! Love that wreath card holder! SO cute! Those are all great ideas. I really love the one by the staircase. Fabulous ideas! I’ll be utilizing a good few of these. What a great idea. I never know what to do with the Christmas cards or how they could be displayed. I can’t wait to make a Christmas card banner. Thanks for the idea, I love it. I love all these great ideas to show off your cards! I especially love the stair idea! Super cute! These are so beautiful. Very good ideas. I love the design on the stairs! I may do that this year. I love the clothes pin wreath! I am going to make one this year. Thanks for sharing these fantastic ideas. What great ideas! i never know what to do with card, normally I put them on the inside of the garage door and use magnets to hang them. These are some great ideas. We used to have an area on the wall that we taped them to. Since we moved last year, I don’t quite have it all figured out how we’ll do it now, so I’m grateful for the ideas. So many great ideas here. I especially love the books of cards. I normally just try to hang them up but now I have some new ideas. Thanks for that. Seriously, adorable ideas! I will do the one with the staircase this year. Love the wood display too! These are really great ideas. I love the idea of hanging them from the staircase. I love all of those ideas. They are definitely better than me hanging them around my door frame LOL.